In November and December 2016 the VU MA Program in Arts & Culture welcomed two more speakers in the lecture series on Cultural Approaches to Digital Humanities—which was opened on 1 November by Prof. Szabo (see previous entry). Whereas the first speaker set out the basics in Digital Humanities – the challenges of digitizing historical collections and building mobile applications for use in exhibitions – the final two speakers reflected on digital humanities in a broader context. They showed how the production of digital data – be it in archives, mobile apps, governmental policies or social media platforms – is never neutral. Hidden infrastructures are at work that define how data are formed, accessed and visualized, and hence, how we produce knowledge and consume information. Christian Nold, who is a researcher and designer at University of London, is famous for his participatory technologies for collective representation. In the past he has created large-scale public projects such as Bio Mapping and the Bijlmer Euro. 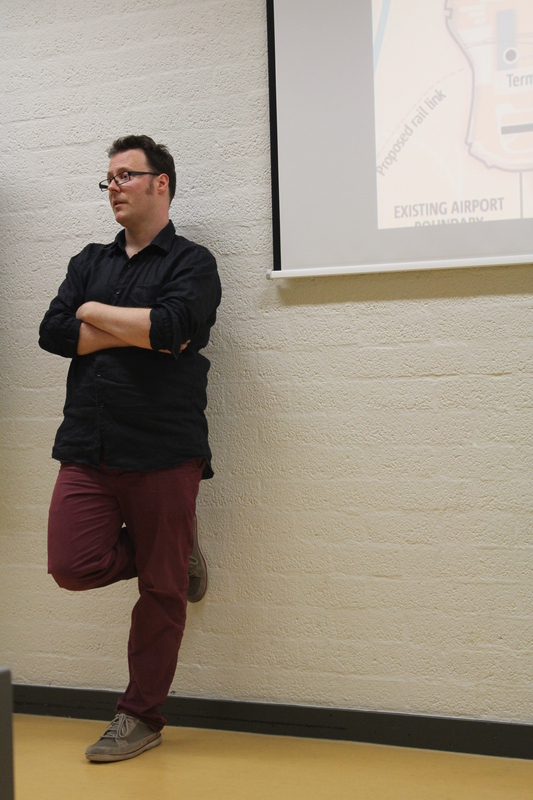 In his talk at the VU, entitled “How can we design meaningful and political data?” he talked about his latest research project: the co-creation of prototypes that explore and propose different ways of measuring and representing noise (-data) around airports. With Heathrow Airport’s recent plans to expand, controversies among local inhabitants have erupted. Nold argued that the government’s noise metrics are outdated and that designers have a role to play in collectively redesigning the tools for measuring and representing noise among a broader range of citizens. Designers can reshape public controversies and turn so-called objective noise data into political issues for all the stakeholders involved. The result is, hopefully, a more democratic solution to noise pollution for more people. José van Dijck, who is Professor of Comparative Media at the University of Amsterdam and President of the Royal Netherlands Academy of Science, continued the discussion of how data are never neutral. She focused on the organization of platforms through which we access these data and asked what is at stake when public domains such as government, journalism, health and education are reshaped through all kinds of online platforms delivered by commercial players such as Microsoft and Google. 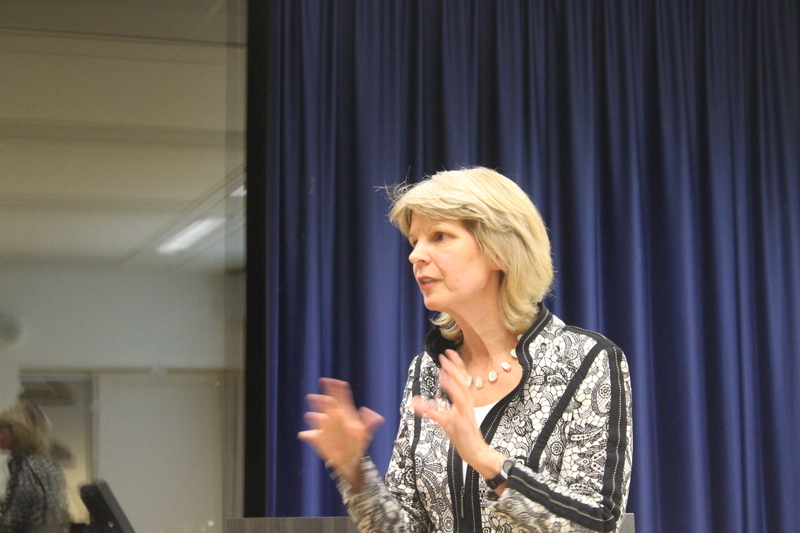 Van Dijck discussed the impact of these online platforms in terms of datafication (coding and monitoring data), commodification (selling data) and automated selection (building reputation systems through algorithms) and warned against a complete sell-out of the public domain, but also of public values such as transparency, privacy, and open access. Although her talk did not explicitly address digital humanities, the link was there to be made: Microsoft owns Blackboard and we all use Google for browsing digitized collections. At the end students were called upon to stay alert, be informed, and refuse to trade public values for convenience.